The Garner Mid-Day Rotary Club and the Garner Morning Rotary Club are each known for outstanding service to the Garner community. While the Mid-Day Rotary is passionate about eliminating childhood hunger, the Morning Rotary focuses on scholarships for Garner area high school seniors pursuing a post-secondary education. On Wednesday, October 10th, the two clubs united their resources to bring individualized digital learning tools to 70 students at the Community of Hope Ministries afterschool tutoring program for at-risk Garner area elementary children. Children who attend the afterschool program are economically disadvantaged and below grade level in reading or math. The Garner clubs each decided to offer $2,000.00 to help Community of Hope to purchase 20 I-Pads and a docking/charging station for the tutoring program. 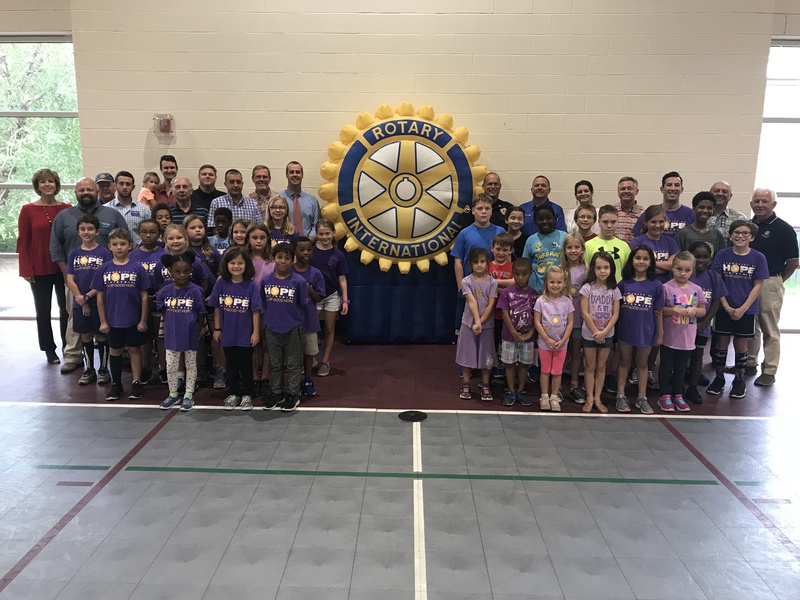 The two clubs jointly submitted a grant to District Rotary leaders with the hope that the District would offer a matching grant. The district grant was indeed approved in September. Garner area Rotary leaders arrived on campus at Community of Hope Ministries on Wednesday to present the $8,000.00 check to Community of Hope’s Executive Director, Amy White. White said that Community of Hope had been praying for a way to increase digital learning opportunities for its students for some time. She said could not express her gratitude enough to the clubs for understanding and embracing the need of this particular group of students for the increased access to technology. Students who attend Community of Hope’s program present a variety of academic needs. Every student does not have the same strengths and weaknesses. Having the Apple I-pads as a resource to download specific learning applications will reinforce and re-teach what the students are seeing in the traditional classroom setting. In addition, over 30 students will benefit from one-on-one literacy and math intervention with the use of I-pads and the help of Community of Hope’s core group of trained, afterschool tutoring volunteers. These I-pads will help to maximize each student’s learning time while on campus at Community of Hope. Many of the students served at Community of Hope do not have access to technology in the home. Joe Binns and Bill Moyer, leaders of the two Garner area Rotary clubs, agreed that offering the grant to Community of Hope just made sense. Community of Hope serves children who represent families who often struggle with food insecurity. Community of Hope also serves families who often do not have the discretionary income to pay for post-secondary learning. 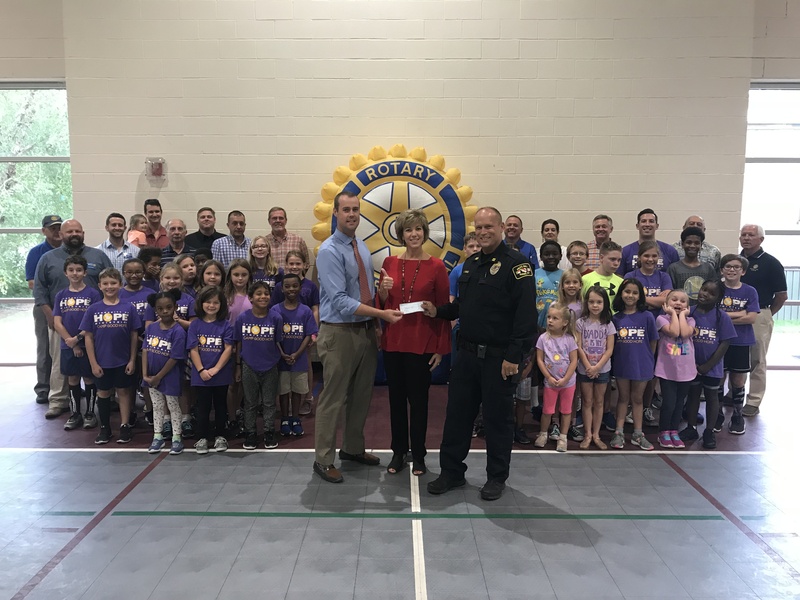 Offering this grant money to ensure that Garner students are successful in the classroom at an early age is a win-win for them and for both Garner area Rotary clubs. We know all of the children who are learning here will have a tremendous opportunity to receive the additional instruction needed to be on grade level at the end of the year.